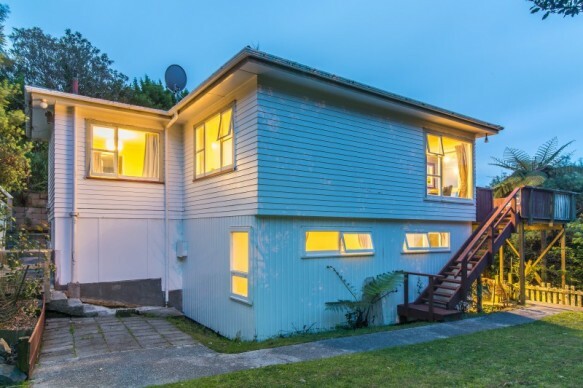 Situated in the very popular suburb of Karori you will find a rare opportunity to purchase a family home or get your property start. Sitting in a sunny position, with an outlook over the hills and local native bush, this home is of a solid 1960's construction and would respond well to your own personal finishing touches while being liveable at the same time. - Large flat lawn that is perfect for small children or even a summer game of cricket! If you have been looking for a large family home in the Wellington College zone or a property that has great future prospects then make sure you come along on Sunday.